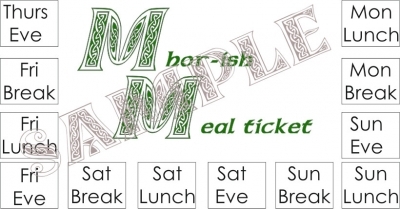 A built-in bring-your-own bowl discount on your meals – individually-bought specials would usually cost you around £6.50 without a meal ticket (or £6.00 if you bring your own bowl). If you buy your early bird meal ticket now, and come to Mhorish at the beginning of the event, give us your name – you will be on our list. Our lovely front-of-house crew will give you your meal ticket and Mhorish dozen – just bring them in and get your ticket(s) punched when you want a meal or a drink – and don’t forget your bowls and cups! This deal will be available until April 20th – after that, meal tickets will be available at the event for £45 on Thursday at dinner, then £5 less at every mealtime until Saturday morning. After that, meals can be bought individually. 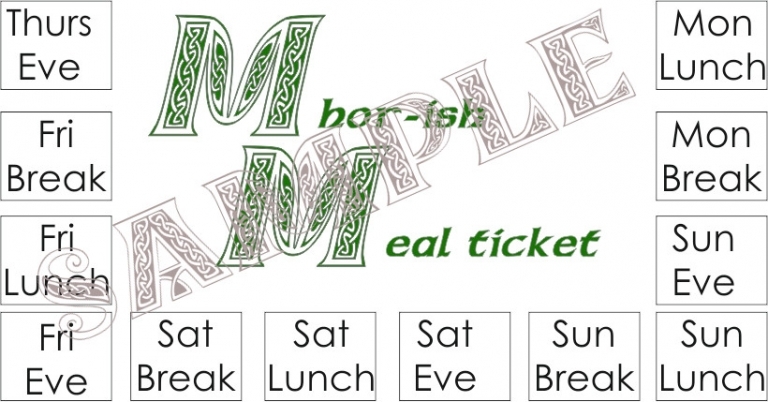 If you’d prefer to buy your meal ticket at the event, you can still claim a Mhorish dozen for half-price (£5). We have made some changes since last year – see our blog for more details.